Hackers belonging an Iran-linked APT group tracked as ‘Leafminer’ have targeted government and various organizations in the Middle East. An Iran-linked APT group tracked as ‘Leafminer’ has targeted government and businesses in the Middle. According to the experts from Symantec, the Leafminer group has been active at least since early 2017. 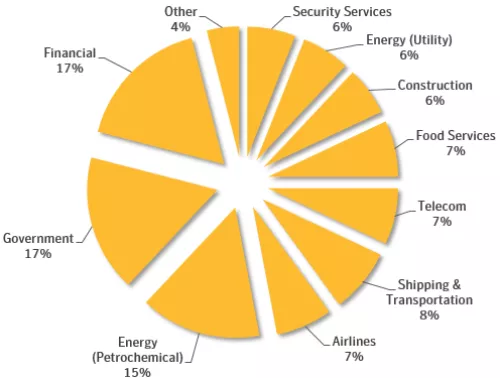 “Symantec has uncovered the operations of a threat actor named Leafminer that is targeting a broad list of government organizations and business verticals in various regions in the Middle East since at least early 2017. ” reads the analysis published by Symantec. The experts detected malicious code and hacking tools associated with the cyber espionage group on 44 systems in Saudi Arabia, Lebanon, Israel, Kuwait and other countries. The extent of the campaigns conducted by the group could be wider, the researchers uncovered a list, written in Iran’s Farsi language, of 809 targets whose systems were scanned by the attackers. Most of the targets were in the financial, government and energy sectors. The hackers used publicly available tools and custom-malware in their attacks. “On a broad level, it has followed the recent trend among targeted attack groups for “living off the land”—using a mixture of publicly available tools alongside its own custom malware.” continues the report. While analyzing the attacks conducted by the group, the experts discovered a download URL for a malware payload used to compromise the victims. The URL pointed out to a compromised web server on the domain e-qht[. ]az that had been used to distribute Leafminer malware, payloads, and tools within the group and make them available for download from victim machines. “As of early June 2018, the server hosted 112 files in a subdirectory that could be accessed through a public web shell planted by the attackers. In addition to malware and tools, the served files also included uploads of log files seemingly originating from vulnerability scans and post-compromise tools.” continues the report. Symantec discovered two custom malware used by the Leafminer group, tracked as Trojan.Imecab and Backdoor.Sorgu, the former provides persistent access with a hardcoded password, the latter implements classic backdoor features. The group also leveraged a modified version of the popular Mimikatz post-exploitation tool. To avoid detection, the group used a technique dubbed Process Doppelgänging, discovered in December 2017 by researchers from Ensilo security firm. The technique is a fileless code injection method that exploits a built-in Windows function and an undocumented implementation of the Windows process loader. “However, Leafminer’s eagerness to learn from others suggests some inexperience on the part of the attackers, a conclusion that’s supported by the group’s poor operational security. It made a major blunder in leaving a staging server publicly accessible, exposing the group’s entire arsenal of tools,” concludes Symantec.